You can click here if you would like to learn about how to use this Mac client software to view security cameras live, playback video recorded on a DVR, and remotely configure DVR settings. 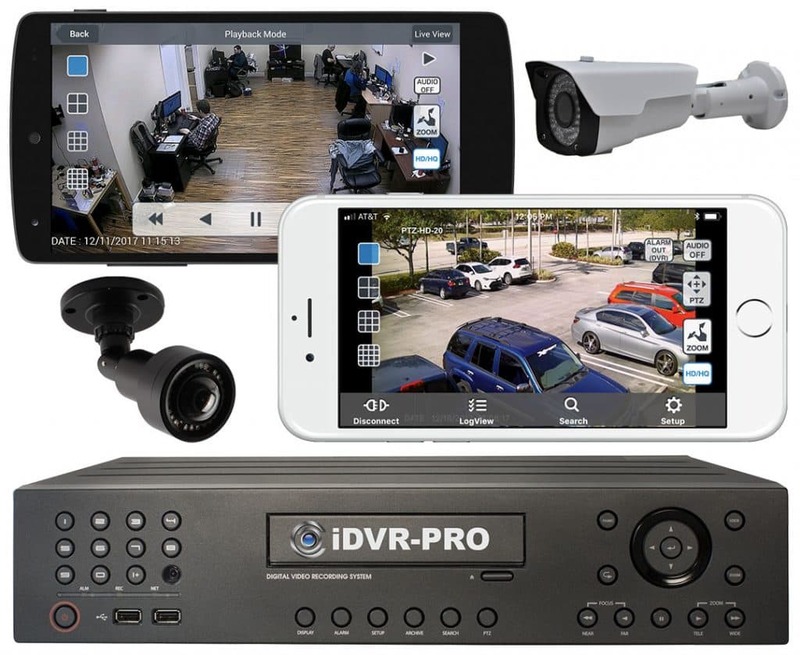 Click here is you would like to learn more about the iDVR-PRO HD surveillance DVRs used with this software. The main purpose of this article is to show readers the image quality of a few different 1080p cameras when viewed remotely using the Mac software for iDVR-PRO. Please note that all of the below images have been uploaded at 1920 x 1080 resolution. If you click on an image, a full size image will open. 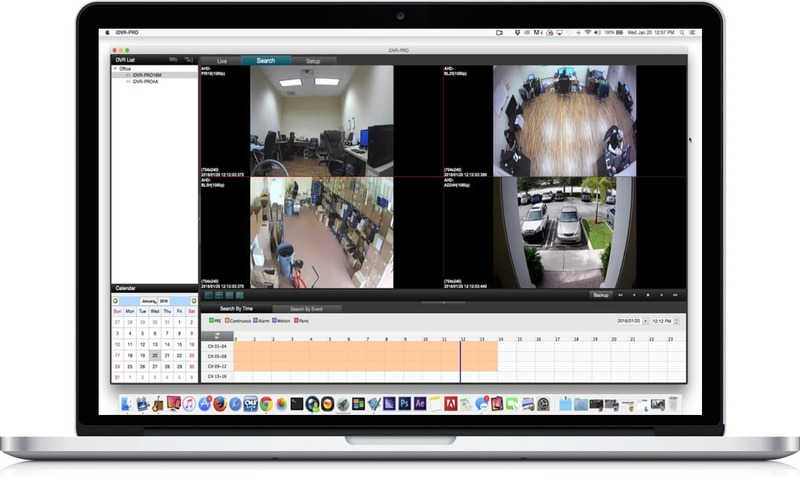 The Mac software supports the ability to view security cameras in 1, 4, 9, 16, 25, and 36 cameras per screen. The 25 and 36 camera views are only applicable when connecting to more than one DVR at the same time. The software automatically adjusts the video display resolution depending on how many cameras are displayed. As you can see above, the live video from each camera is displayed at 704 x 240 resolution when 4 cameras are displayed at the same time. When you switch to a single camera view, the max resolution of the camera is used. 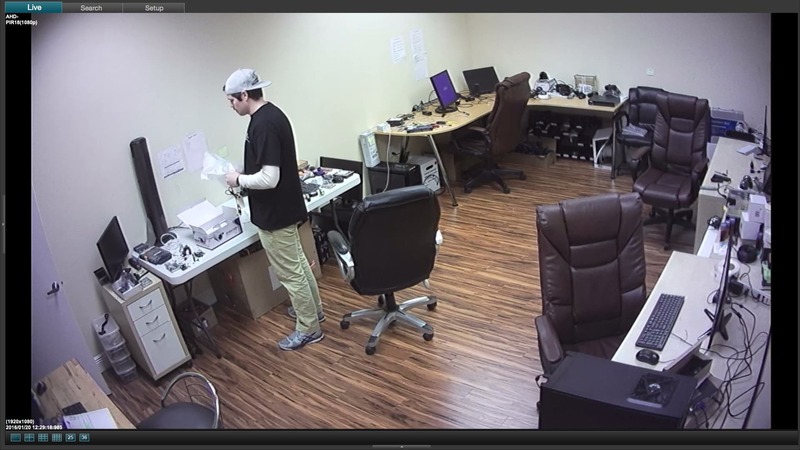 All of the below screenshots were captured from 1080p AHD CCTV cameras connected to an iDVR-PRO16H at CCTV Camera Pros office. If you are not familiar with AHD cameras, AHD stands for analog high definition. This type of camera is hard wired to a DVR using coax cable just like analog CCTV cameras, except they support much higher resolution. You can learn more about AHD cameras and see a comparison video of 1080p AHD CCTV vs analog CCTV camera resolution here. In each of the below screenshots, the side and bottom menus are hidden in the software and the application is expanded to full screen on the Macbook laptop that I used. 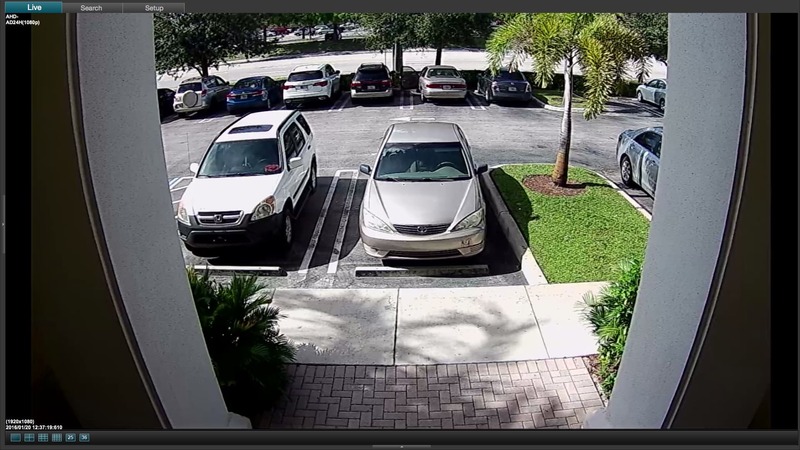 This first screenshot shows the 1080p view from an AHD-PIR18 HD spy camera with hidden infrared. The camera is mounted in the corner of our tech room. This screenshot was captured with an AHD-BL25 180 degree HD camera. The camera is mounted to the ceiling against a wall in the sales office of CCTV Camera Pros. The room is 29 feet long by 16 feet deep. You can see this camera is able to provide a high definition view of an entire room that size. This image was captured while viewing the AHD-BL5H infrared bullet HD camera. 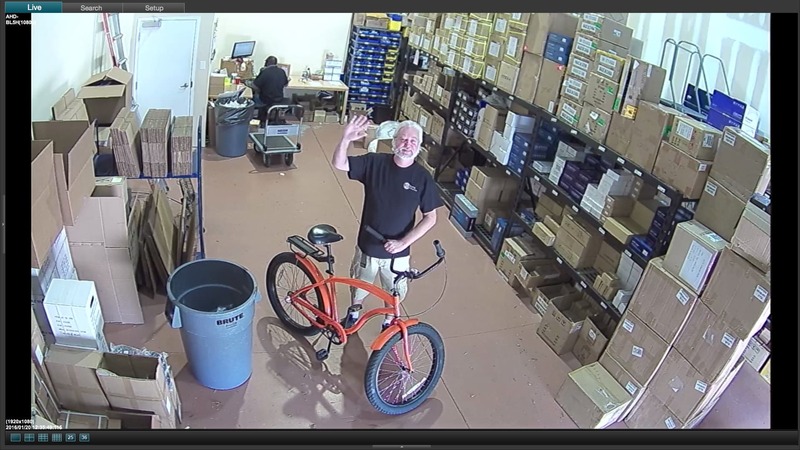 This camera is mounted in our warehouse to provide surveillance coverage of the door leading out from the office area to the warehouse and also this lane on product inventory. This AHD-AD24H HD dome security camera monitors the front entrance at CCTV Camera Pros. The camera captures high definition video of everyone entering and exiting our office via this door. 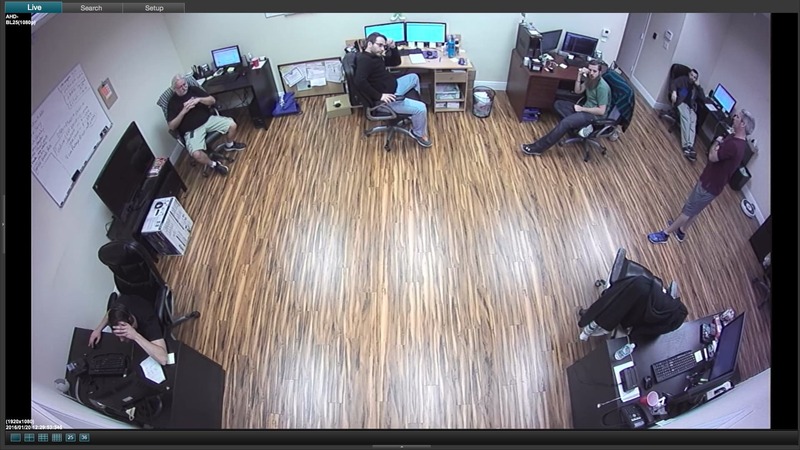 As a long time Mac user and the person in charge of product R&D at CCTV Camera Pros, I constantly watch the market for surveillance systems that support remote viewing from Macintosh PCs. I have been in charge of product research and development since my business partner and I founded the company in 2006. I have tested many products and software packages over those years. At this point in time, I can honestly say that the iDVR-PRO Viewer software for Mac is the best that I have tested and it is the one that our team recommends to Mac users. Now that iDVR-PRO DVRs support HD CCTV cameras and the software supports 1080p resolution for live viewing and recorded video playback, I know that Mac users will be very happy with the quality of this product. 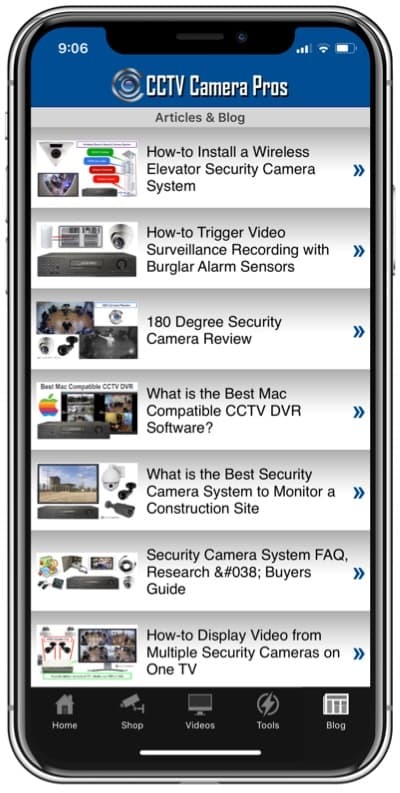 If you have any questions regarding this article or anything else related to video surveillance systems, please contact me at mike@cctvcamerapros.net.